Honda Activa is no doubt one of the most reliable scooters that offer the pleasure of comfortable ride to the users.From enough power to good mileage, it has everything that is desired by a city commuter. You can rely on this Honda vehicle even for long distance trips. In order to retain its good performance and condition, you need to ensure its proper maintenance. A check on few simple things on a regular basis could sort your purpose. In this post, we are going to highlight some crucial Honda Activa maintenance tips, How to drive Activa and a checklist that will help you and your Activa to smile for a long period. The level of tyre pressure not only affects the life of the tyres but also the safety of the rider. Incorrect tyre pressure level will consequently result in damaged tyres. Plus, it will lead to increased braking distances and decreased grip. 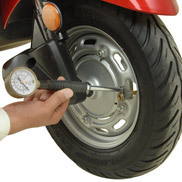 It is therefore important for Honda Activa users to ensure that the tyre pressure is 22 Psi (for the front tyre) – 28 Psi (for the back tyre) when driving alone and when driving with pillion rider the range should be 22 Psi (for front) – 36 Psi (for the back). The next important thing is refilling of air pressure every month. With continuous driving, the air pressure in tyres tends to decrease. It is recommended to check the tyre pressure in every fifteen days. When checking the tyre pressure, don’t forget to examine the side walls and treads of tyres for damage and wear. Old Honda Activa model is equipped with brake lock system for the rear brake. You can use this system when you need to stop the vehicle on a slope; this means no need for holding brake when you are on call with someone on your mobile when driving the vehicle. In order to avoid the chances of skidding don’t apply sudden braking. It’s wise to use the front brake after pressing the rear brake up to 30% to 40 %. For proper braking, use the rear brake for slight decelerating and then apply both the brakes together. There are countless tips for maintaining good performance and good mileage of the Honda Activa. The important ones include- using efficient and clean air filters and spark plugs, keeping the maximum driving speed around 60km, tuning the carburettor and engine, cleaning the air filters and spark plugs on a monthly basis, avoiding hard acceleration, and unnecessary brakes, and maintaining the right chain settings and tyre pressure. In addition to these, a two-minute warm-up of the engine before riding enhances the Activa mileage of the vehicle. Don’t settle for cheap and low-quality engine fuel. Also, proper servicing of your Honda Activa is important as the new engine delivers the 30-35kmpl which gradually increases with subsequent service. The other important things to consider is driving the vehicle at economy speed with the minimal use of the throttle. Following Honda Activa service schedule, changing the engine oil and engine flush, makes the engine work better. Hence, regular cleanups of your Honda Activa is necessary. 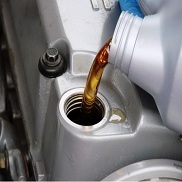 Furthermore, frequent changing of the oil offers the advantage of a smooth riding for a longer period. From new active, the oil change interval should be every 300 – 500-mile ride is completed. Make sure to the top-up air filter, oil filter, engine oil, and break oil for every 2500 km. The next important thing is a use of high-quality oil for your vehicle. Most importantly, choose an experienced and knowledgeable mechanic who is proficient enough to understand your vehicle so that the job is done in the right manner. Everyone likes to accessorize his/her Activa. There is no harm in this, but keep in mind that every extra ‘addition’ to your vehicle means an extra load on your vehicle’s battery, which has its own limited capacity. So make sure you don’t overload the battery to an unlimited extent. In case the power of the battery draws out you’ll be left stranded with a non-functional vehicle. Keep on checking the charging system of the battery at regular intervals. The battery of Honda Activa gets charged when the engine is running. The electricity produced by the alternator charges the battery while when the vehicle is running. The battery will not charge if the alternator goes off. Therefore, proper check on the charging system is very important. Check the battery power of your Honda Activa once in every 2 months. Regular servicing of your Honda Activa scooter is important. And it should be done strictly according to the instructions mentioned in the owner’s manual. This will keep your vehicle always new. In case you miss getting it serviced at the stipulated time, then at least get the engine oil changed at the earliest. Besides the above, the other important things that should be taken care of include keeping the vehicle clean, periodic checking of the tyre pressure for better mileage and enhanced tyre life. Don’t park your Activa under the direct heat of the sun. Ignorance of any unusual noise and sound from your vehicle isn’t wise; get it checked without any delay. Get the fuel only from a reputed fuel pump. Don’t be limited to regular servicing of your vehicle. 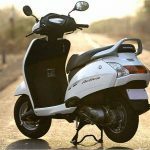 Even if you take good care of your Honda Activa scooter, yearly inspection by a local repairer or a professional is ‘a-must’. This will help in discovering the small problems, which can prove out to be devastating later. Most of the time, smaller issues go unnoticed either due to lack of knowledge or because of ignorance. 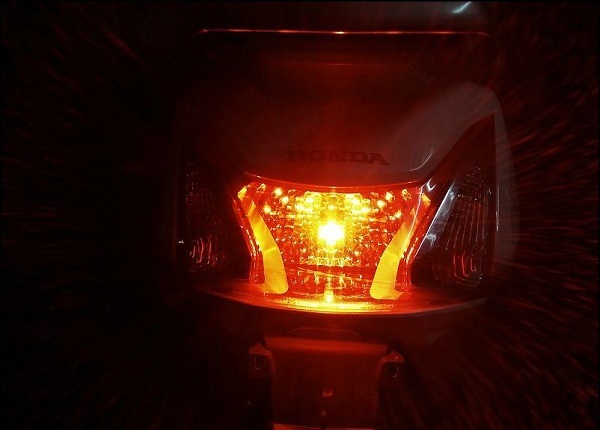 It’s completely your responsibility to ensure proper maintenance of your Honda Activa. plz advise frequency of wheel greasing, clutch greasing,suspension greasing etc. this is being covered in standard service, still, you can mention applying. If we talk about frequency, If your Activa is new, you should do it by 750 to 1000 KM completion. Rest Service you can do by every 2500 KM or duration of every 3 months. Hope this help. 2. If it is good for a scooter to accelerate while holding the break levers (specially morning)? After first service can we drive Honda activa 4g to top speed? Meri activa 7minths pahle li hai. Chalte chalte band ho gayee. Ab start nahi ho rahi?